Excelsior poultry pads are manufactured from Great Lakes Aspen excelsior fibers and brown kraft paper. They are available in several different configurations and in a variety of sizes. 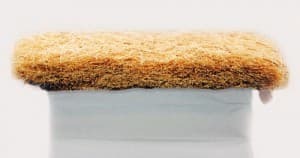 Leading hatcheries have used our excelsior poultry pads for many years. Excelsior box pads help to provide stable footing for newly hatched chicks and poults. They greatly help to eliminate sprawl leg, which reduces the number of lost poults and chicks. Excelsior nest pads help to provide cleaner, fresher, better quality and more hatchable eggs. 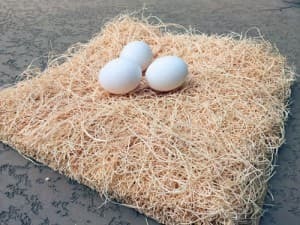 They are economical, easy to place in the laying nests and help in faster egg gathering. The eggs are on top, clean and fresh rather than having to hunt and dig for eggs as with some other products. They also draw moisture from droppings which drop to the paper below, out of the area in which the eggs are laid. Turkey hatching tray pads provide cushioning for newly hatched chicks and poults and help to provide stable footing. They also help to keep newly hatched chicks and poults clean.